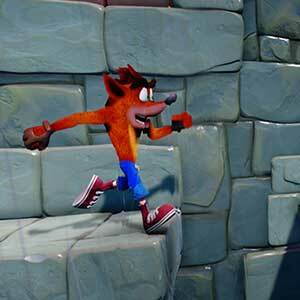 Find all PS4 Game Download Code stores and prices to download and play Crash Bandicoot N Sane Trilogy at the best prices on Playstation Network. Save time and money: Compare PS4 Game stores. Activate Crash Bandicoot N Sane Trilogy Game Code on PSN to download your PS4 game. You can participate to these tests by adding comments about your PS4 Game Code purchase in the store review page. Enjoy the best deals for Crash Bandicoot N Sane Trilogy Game Code with Allkeyshop ! 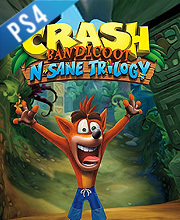 Crash Bandicoot N Sane Trilogy is a remastered collection of the games in the Crash Bandicoot series. 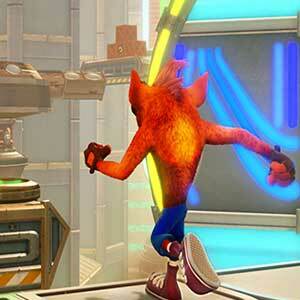 The games were developed by Vicarious Visions and published by Activision for the PS4. 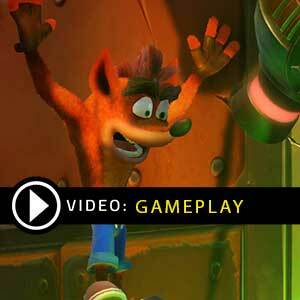 The games feature Crash Bandicoot exploring numerous levels in an effort to stop Doctor Neo Cortex from taking over the world. 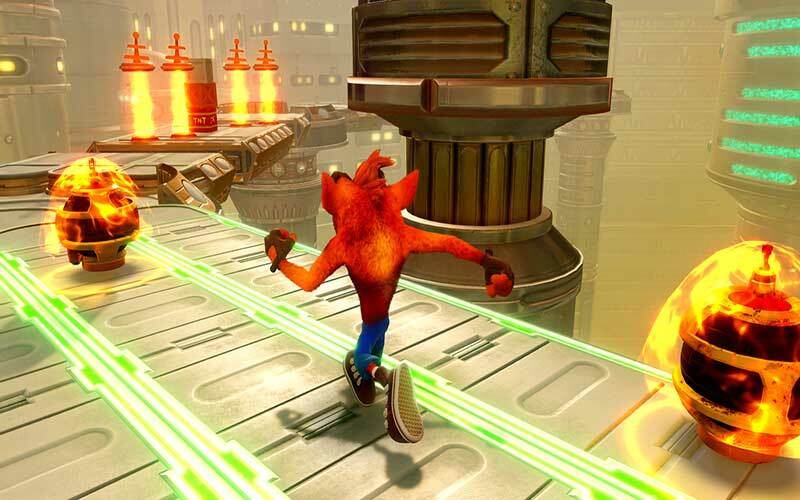 The gameplay involves using spinning and jumping techniques to defeat enemies, smashing crates, and collecting items such as Wumpa Fruits, extra lives and protective Aku Aku masks. The collection includes many new features across all three games, like unified checkpoints, save systems and pause menus. 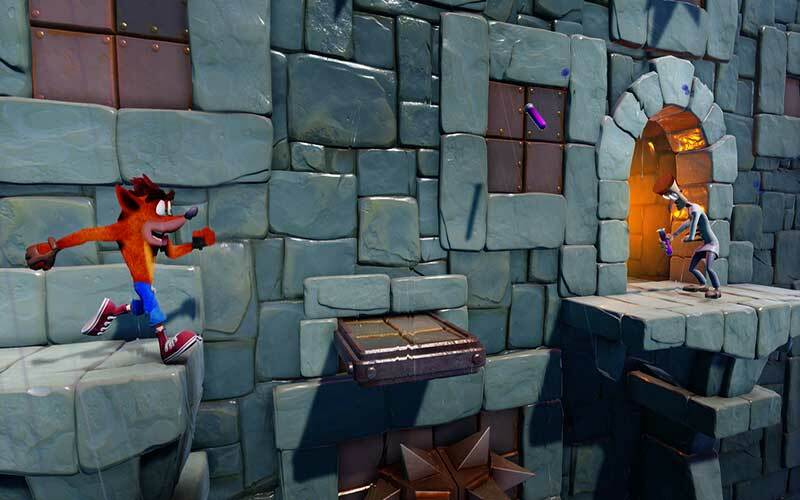 If you own Crash Bandicoot N Sane Trilogy, you may download a new free level named Stormy Ascent. There are 13 offers ranging from 19.66€ to 45.39€. PLAYSTATION ACCOUNT : You will receive a Playstation account to download and play Crash Bandicoot N Sane Trilogy PS4. Once downloaded you can play with your own account. Follow the instructions given by the seller and read carefully the store description about any language and region restrictions. EUROPEAN BOX GAME : This is an European version for Crash Bandicoot N Sane Trilogy PS4 in Box Edition (DVD-CD ROM). This is not a downloadable product. Please read the sellers page for any additional costs (taxes, shipping), delivery time for your country and languages available. US BOX GAME : This is an US import of Crash Bandicoot N Sane Trilogy PS4 in Box Edition (DVD-CD ROM). This is not a downloadable product. Please read the sellers page for any additional costs (taxes, shipping), delivery time for your country and languages available. UNITED KINGDOM BOX GAME : This is a United Kingdom import of Crash Bandicoot N Sane Trilogy PS4 in Box Edition (DVD-CD ROM). This is not a downloadable product. Please read the sellers page for any additional costs (taxes, shipping), delivery time for your country and languages available. BOX GAME : This is Crash Bandicoot N Sane Trilogy PS4 Box Edition (DVD-CD ROM). This is not a downloadable product. Please read the sellers page for any additional costs (taxes, shipping), delivery time for your country and languages available. 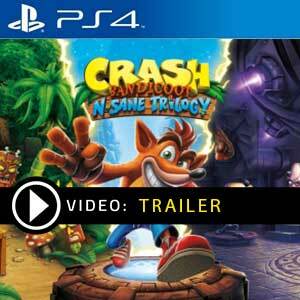 PLAYSTATION CODE : This a Playstation Game Code to download Crash Bandicoot N Sane Trilogy PS4. Activate the code on the Playstation Network. Read carefully the store description about any language and region restrictions. PLAYSTATION GAME CODE EU : Playstation Code for Europe only to download and play Crash Bandicoot N Sane Trilogy PS4 on European Account. Activate the code on the Playstation Network to download your game. Read carefully the store description about any language and region restrictions.